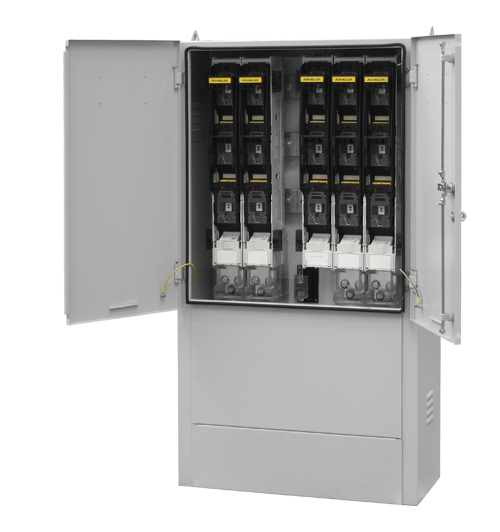 The NOJA series of Low Voltage Distribution Kiosk’s consists of 2 different enclosure sizes and 5 standard configurations of supplied equipment. 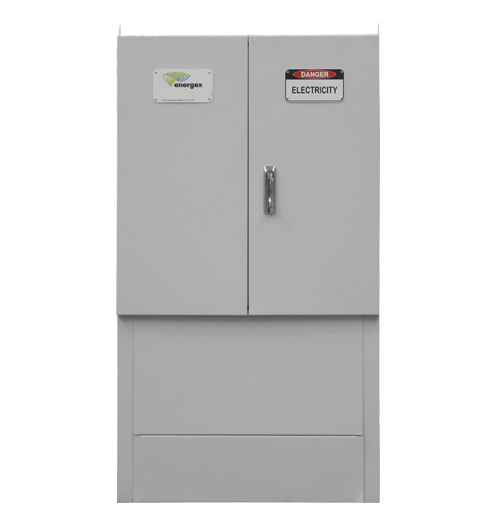 The Low Voltage Kiosk has been designed to be partially buried in ground or wall mounted in the same standard enclosure. Kiosk standard construction is 304 Grade Stainless Steel with powder coat. The exterior design was done with aesthetics in mind and so is suitable for installation in public areas. The Kiosk's features a sloping lid to prevent accumulation of debris and moisture. The Enclosures are weather, rodent and bird proof. The doors of the kiosk feature 3 point locking with a vandal proof / pad lockable handle. High positioning of top vents allow for excellent heat dissipation. 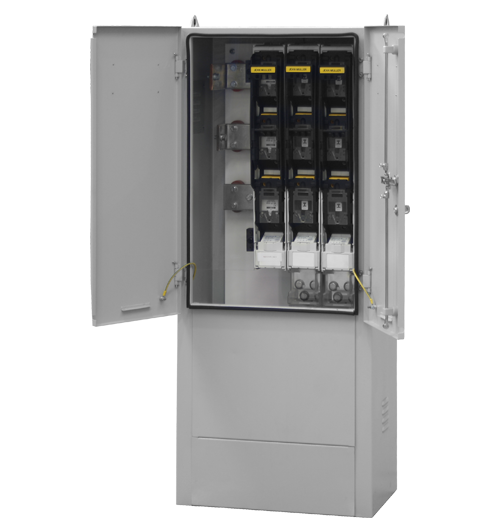 Slide out bottom covers allowing ease of cable installation and readily accessible lifting lugs are common across all kiosk design. Kiosk’s can be Base or Wall mounted to suit a range of different installation options. When base mounting 1600mm Stainless Steel rag bolts are used to lessen risk of tipping or pulling over of the kiosk. A template for mounting is supplied. The option for wall mounting is factory fitted Stainless Steel rails to rear of enclosure. Auxiliary Service Fuses can also be factory fitted for the supply to street lights, etc.